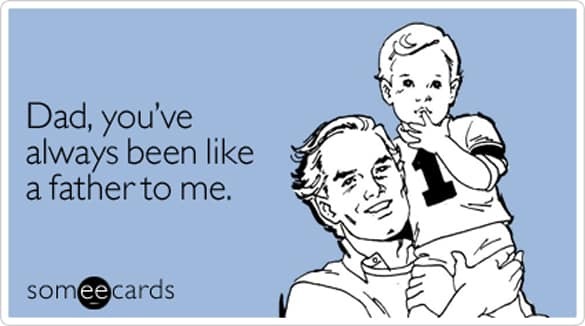 Happy Father’s Day everybody! I hope you are all spoiling the wonderful men in your lives! I feel like sometimes the role a Father plays gets overlooked or overshadowed by Mother’s in today’s society, and it makes me sad. Being a really good Dad is just as hard as being a really good Mom, and Motherhood is definitely the hardest thing I’ve ever done. I wouldn’t be where I am today without my Daddy, and I am inexplicably grateful for how much Bryce does to bless my life and help to raise our children and provide for our family. I don’t know if any of your husbands are this way or not, but Bryce always says that he would rather save the money than have me get him presents… which I hate! I do try to respect his wishes though (when I feel like he really means it) so t0day the gifts around here will be pretty low-key. We are splurging on dinner though! We are having ribs, crock-pot mashed potatoes, corn, wedge salad and his favorite dessert: lemon sour cream pie! What are you guys having?? I am also going to try really hard to wake up before him and make him breakfast, but that’s only happened twice in our whole marriage… sad right? He is such an early riser, and to put it mildly I’m NOT. Wish me luck! P.S. Find Bryce’s advice for new fathers here and how we make our marriage great here.